I use dry shampoo very frequently (probably more than I should admit..oops). My usual go to is Batiste, I love how it gives my hair volume and also helps to make it look and feel clean and refreshed. However, I hate the residue it sometimes leaves at my roots (I'm not quite ready to embrace grey hair thankyou Batiste..). 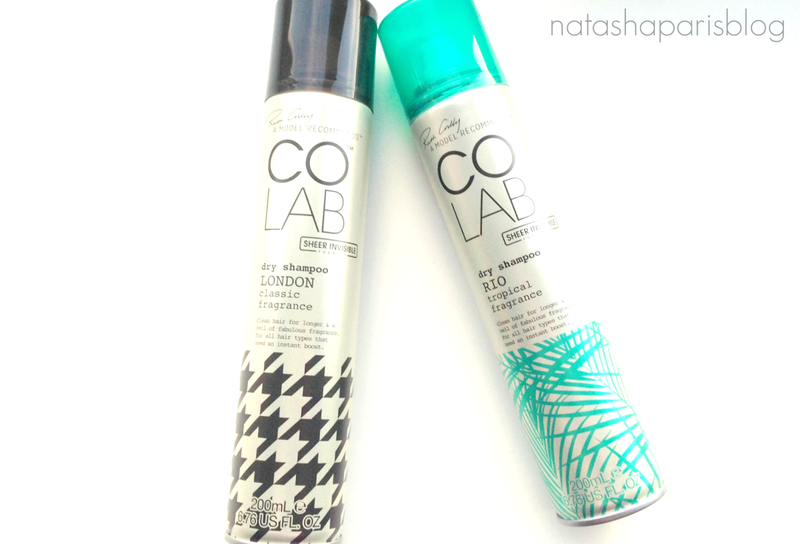 When I heard about the 'Sheer Invisible Formula' offered by the COLAB Dry Shampoo I knew I had to give it a try. COLAB Dry Shampoo is the first range of products launched by Ruth Crilly of A Model Reccomends. Whilst I have enjoyed some of Ruth's YouTube videos and blog posts I bought this product because I liked the sound of it,not because of who's name was on it. The range currently offers five different dry shampoo scents-London,Tokyo,Rio,Paris and New York-which are all available in big 200ml cans or 50ml travel size cans. I purchased two of the big cans in the scents 'London' and 'Rio'. On the can 'London' is described as being "A classic yet contemporary fragrance of bergamot,musk and magnolia" whilst 'Rio' is described as being "A carnival of tropical notes with papaya,pineapple and a heart of cassis". Now I'm no expert in fragrances but I can tell you that both of these scents smell bloomin' amazing but 'London' is my favourite out of the two. Not only has this dry shampoo has really impressed me with it's amazing scent, the "sheer invisible formula" is pretty damn good too. When I apply the dry shampoo there is no annoying chalky residue at my roots, or infact anywhere in my hair. Once applied the product doesn't weigh my hair down,gives my hair the right amount of volume whilst leaving it looking (and feeling) refreshed in between washes. I can see this product becoming my new 'go to' dry shampoo (sorry Batiste). I purchased the COLAB Dry Shampoos from Superdrug where they're currently on offer for £2.32 for the 200ml cans and £1.32 for the 50ml travel size cans. They are also available from feelunique costing £3.50 for the big can and £2.00 for the travel size. 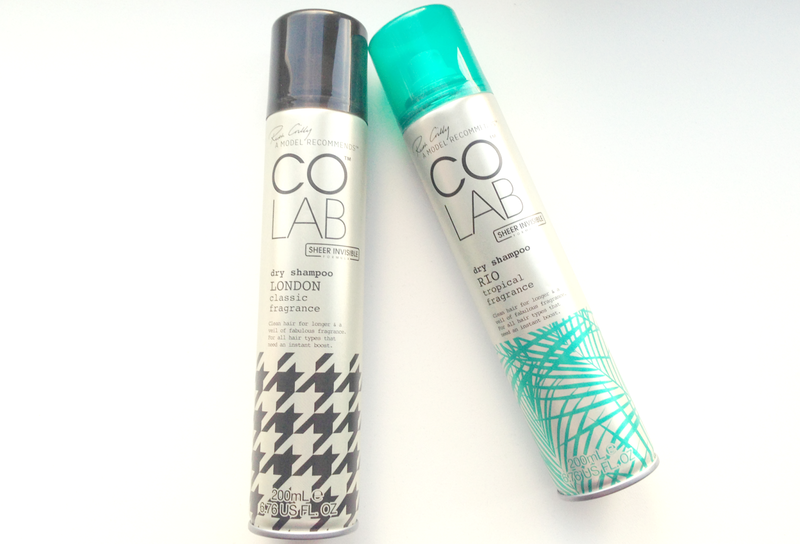 Have you tried any of the COLAB Dry shampoos?